Say a jamming goodbye to January with Reginald Cyntje at Bohemian Caverns and Thad Wilson at Twins Jazz, among others this weekend, then swing into February with Lenny Robinson on Tuesdays at the Caverns, Brad Linde with Jamie Cullum, and then the Noiseless Ensemble, Karen Lovejoy and more next week. Our trombone maestro and bandleader Cyntje leads his group for a Spiritual Awakening tonight, Friday Jan. 30 and tomorrow Jan. 31 at the Caverns. As always, Cyntje performs with some top shelf folks, including sax man Brian Settles, steel pan guru Victor Provost, keyboardist Mark Meadows, bassist Herman Burney, drummer Amin Gumbs and percussionist Tosin Aribisala. See http://www.reginaldcyntje.com. 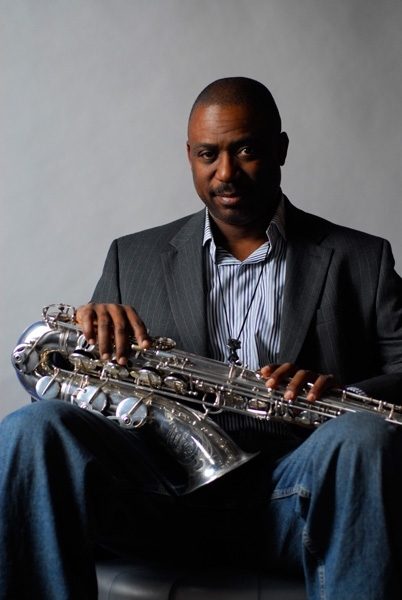 Reginald Cyntje’s group is at Bohemian Caverns Jan. 30-31. Trumpeter Wilson presents Robert Landham in his sets Jan. 30 and 31 at Twins Jazz (www.twinsjazz.com). This debut performance of Wilson and contemporary master saxophonist Landham, a Philadelphia native, is the culmination of a longtime musical collaboration that encompasses years of playing each other’s original music, working in each other’s bands, and sharing musical wisdom. Elsewhere tonight the Jazz Night Jazz Legends Series presents Pepe Gonzalez at Westminster Presbyterian Church at 6 p.m., with Gonzalez on bass, Chris Battistone, trumpet, Jon Ozment, piano, Joe Link, drums and Imani, vocals. Following the live music is Jazz Night at the Movies at 9:15 p.m. Tomorrow, Jan. 31 Yard Byard; The Jaki Byard Project is at the Kennedy Center. Drummer for all genres Lenny Robinson – he can be enjoyed deftly and empathetically backing a songstress, and the next day whipping and rapping in avant garde riffs — begins his run of Tuesdays promising some tasty forward-looking sounds, as Artist in Residence at Bohemian Caverns Tuesday, Feb. 3. He’ll be with his group Mad Curious, with Settles and bassist Tarus Mateen. See http://www.bohemiancaverns.com. Blues Alley presents An Evening with EC3 on Feb. 3 also. Other early February highlights include Maurice’s Black History Celebration, with Maurice Lyles on drums at Westminster Feb. 6, with vocalist Carol Chandler at Westminster Feb. 13. Sax man Maceo Parker plays the Crossroads Club at the Kennedy Center Feb. 6, with Chris Brubeck’s Triple Play at the KC Jazz Club Feb. 7 and the KC Jazz Club hosting Jenny Scheinman featuring Brian Blade Feb. 13, with Kurt Elling at the KenCen Terrace Theater Feb. 14. See http://www.kennedy-center.org for more information. The Jamie Cullum Big Band with reed man Brad Linde entertains at the Lincoln Theatre Feb. 6, then Linde performs with the Noiseless Ensemble Feb. 7 for the show “Sonic Circuits Presents: An Evening of Impossible Music at Pyramid Atlantic. See http://www.bradlinde.com for more information. 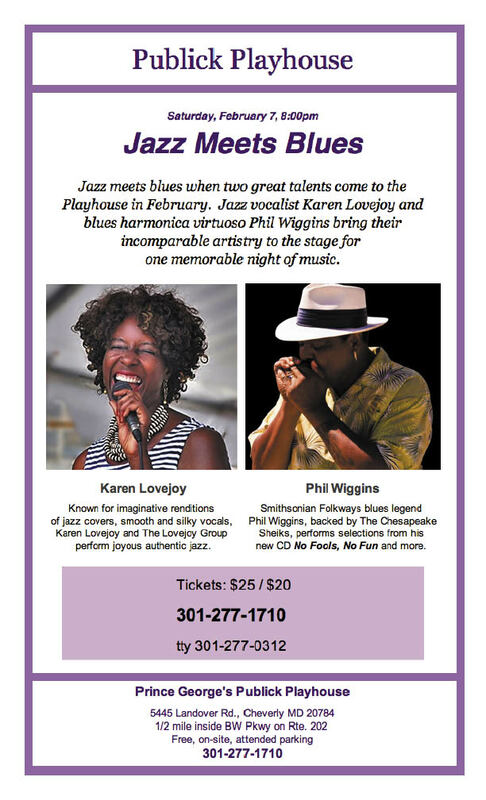 Lady of song Karen Lovejoy appears in a Jazz Meets Blues show with harmonica guru Phil Wiggins Feb. 7 at the Publick Playhouse in Cheverly, Md. Lovejoy, “known for imaginative renditions of jazz covers, smooth and silky vocals”—but also known for belting some blues with the best of them, performs with her Lovejoy Group. Smithsonian Folkways blues legend Wiggins is backed by the Chesapeake Sheiks and performs selections from his new CD “No Fools, No Fun.” Call 301-277-1710 for more information. Up Baltimore way, the Latin Jazz All Stars with Cesar Orozco, Jeff Antoniuk and friends are at An Die Musik Jan. 30-31, followed by the Rhonda Robinson Quartet Feb. 6 and James Weidman Jazz Feb. 7. See http://www.andiemusik.com. The Baltimore Jazz Sextet is at Joe Squared Pizza Feb. 6 (www.joesquared.com); the Houston Person Quartet is at the Baltimore Museum of Art, courtesy of the Baltimore Chamber Jazz Society, Feb. 8 (www.baltimorechamberjazz.org); and The John Lamkin “Favorites” Quintet is at Lexington Market Feb. 14. Paul Carr again brings us a jamming Mid-Atlantic Jazz Festival Feb. 13-16 at the Hilton Washington DC/Rockville Hotel & Executive Meeting Center in Rockville, Md., featuring jazz stars in performance, school band competitions, master classes and exotic vendors. Headliners include Maurice Lyles, who perform for the opening ceremony, Paul Carr featuring Sharon Clark, Tierney Sutton, Sean Jones and Marcus Strickland and the first of the weekend’s midnight jam sessions with Wes Biles, Feb. 13; Terry Marshall, Sam Prather and Chelsey Green Feb and Chad Carter and Winard Harper, the Tenor Saxophone Summit with Marcus Strickland, James Carter and Craig Handy Feb. 14; and Rufus Reid, Craig Handy, Jimmy Greene with Kenny Barron, Janine Gilbert Carter and Carmen Lundy Feb. 15. Thanks to Paul Carr again for MAJF, taking up the mantle from the departed Ronnie Wells and Fish Middleton. For complete schedule and ticket information, go to http://www.midatlanticjazzfestival.org. Expertise never gets old. 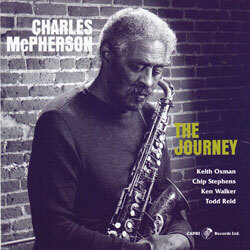 It even blooms new flowers when surrounded by newer cohorts, as exemplified by “The Journey,” the soon to be released (Feb. 17) recording by veteran master saxophonist Charles McPherson on The CAPRI Records Ltd.
McPherson, a top-shelf performer in the bebop and hard bop tradition for more than half a century, as a leader and with Charles Mingus, Elvin Jones, Barry Harris, Art Farmer and many others. 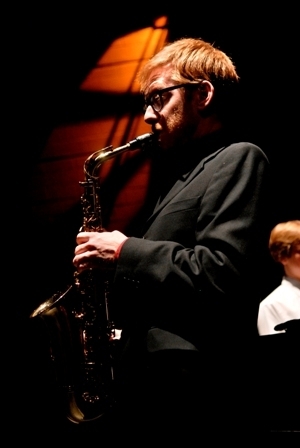 “His lyrical and virile improvising throughout the recording asserts that the career upswing that began for McPherson when he added passionate alto statements to the soundtrack of Clint Eastwood’s 1998 Charlie Parker bio-pic, Bird, followed by the excellent all-star albums that came in the film’s wake, remains in motion,” says the CD’s publicity. “The Journey” is one of those recordings where it is hard pick out highlights – because almost each tune stands on its own two feet as a distinct, original crafting of musical surprise — the opening “The Decathexis From Youth (For Cole)” by pianist Chip Stephens grabs you immediately. McPherson’s authentic searing alto sounds on the tune let you know you are in for a treat and his bandmates, Stephens, Keith Oxman, tenor sax, Ken Walker, bass and Todd Reid, drums, all accompany, and push, and distinguish themselves very well along the way. “Elena” is a taste of classic sax melancholia from McPherson’s alto, his lyrical readings majestic and glowing, flowing with Stephens’ empathetic touch on piano, then harmonizing with Oxman before taking off solo for spirited flights on “Spring Is Here.” A treasure is McPherson’s own “Manhattan Nocturne,” bringing visions of the yellow streams of taxis, and their horns with McPherson and Oxman’s horns, the nightlife glitter, the sweeping landscape of humanity—yes you can see it in the music. Bassist Walker shines with his own lyricism, underpinning the uptown, downtown runs of piano and horns. “Au Private” is a pure bebop jam, and “I Should Care” pure ballad mastery by McPherson’s ever-reaching alto soars. “The Journey” whips along behind the horns and Reid’s fine work, including his deft cymbal swishings. And “Tami’s Tune” is a gem of an original by Oxman, powered by Walker’s throbbing symphony on bass, with “Bud Like” making it a wrap, McPherson squeals/squawks rolling over Stephens’ crisp work on piano. A solid connection for sure, makes “The Journey” a collector’s must for a McPherson fan, or anyone into bop bop bopping along. 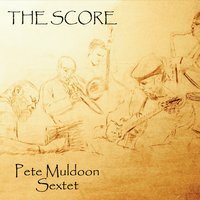 A jazzy soulful gem is “The Score,” the recording by Pete Muldoon released late in 2014. Always an entertaining player at sets around the city at various venues, including Sankofa Café on Georgia Avenue and UDC Jazz Ensemble dates uptown, Muldoon has fashioned a winner here, with solid grooves, rhythmic journeys and intriguing passages with the Pete Muldoon Sextet. 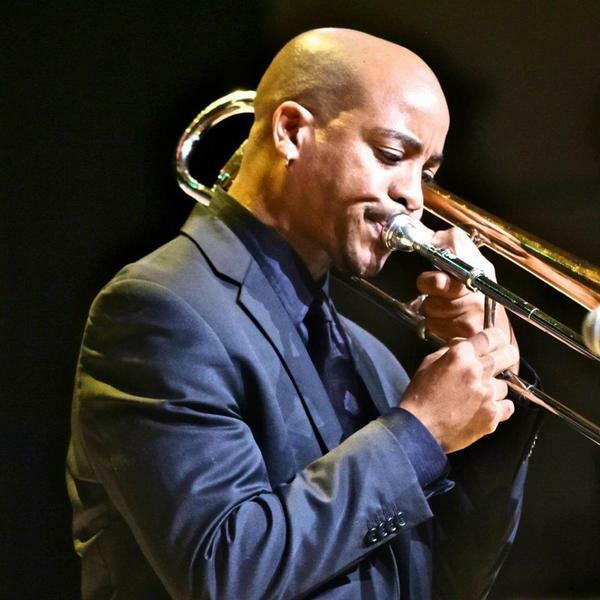 His accomplished partners are Allyn Johnson, the UDC jazz maestro, on piano, Elijah Jamal Balbed, saxophone, Reginald Cyntje, trombone, Eliot Seppa, bass and Sam Prather, drums. “Hindsight,” a Cedar Walton tune is one of the highlights with horn men Balbed and Cyntje framing Muldoon’s deft guitar slicings on the gentle melody, along with Prather’s sure rolls and rapping jabs. Cyntje’s solo here heralds several of his vintage romps on trombone throughout the recording. “Goodbye Junebug,” a lilting, bluesy nod to our departed (a few years ago) drummer and Muldoon mentor and buddy Jimmy “Junebug” Jackson, has Muldoon digging deep into the blues licks along with Johnson. “Tribe of Joey Dogon,” a fine Muldoon original, opens with Seppa’s fine touch on a walking bass line, and intrigues with eclectic rhythms and colors, with Johnson sprinkling melodies, then spurting them, cascading as in a waterfall, and Muldoon’s lyrical picking before Johnson sparkles along again to the melody, before Seppa takes it out. Joe Henderson’s jam “The Kicker” rips along behind Balbed’s incisive sax riffs, Johnson, and Muldoon’s guitar, here with his vintage pluckings heavy with a dripping molasses-flavored groove, as they are also on “The Score,” a funky, waltzy blend of Seppa’s rumblings on bass, Muldoon, and the harmonizing horns, shuffled along by Prather on drums. 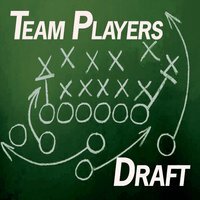 Belated Kudos to Brad Linde for his Team Players “Draft”2014 with Linde on muted alto saxophone and tenor sax, Billy Wolfe, tenor sax, Aaron Quinn, guitar and effects and Deric Dickens, drums, cymbals, percussion and whistle. On the Bleebop Records label, “Draft” highlights include the snappy “Skippy Lou,” featuring Dickens’ whipping drums and Linde and Wolfe on horns, and the intriguing “The Sound of Snow Under Feet” with its lilting almost waltz-like hypnotic rhythms, and the multi-colored jam “Devin Aromashodu” featuring Quinn’s liberal spicings. See http://www.bradlinde.com for more information. Speaking of Baltimore, looking ahead to February and Black History Month brings to mind the Eubie Blake National Jazz Institute and Cultural Center, 847 N. Howard Street, one of our institutions – like the Felix Grant Jazz Archives at the University of the District of Columbia – deserving more publicity, support and notice. Most recently, in December the center hosted a Holiday Concert featuring the Eric Byrd Trio, an event much enjoyed by the crowd, according to our Baltimore Jazz Alliance correspondent Gail Marten, and before the concert, says BJA board member Liz Fixsen in the BJA January/February newsletter, a meet and greet affair at the center brought together BJA members, musicians and jazz fans. Keep a lookout for future events. “Eubie Blake, by name of James Hubert Blake (born Feb. 7, 1887, Baltimore, Md., U.S.—died Feb. 12, 1983, Brooklyn, N.Y.), American pianist and composer of ragtime music, popular and vaudeville tunes, and scores for musical theatre—most notably Shuffle Along (1921), his groundbreaking collaboration with singer and lyricist Noble Sissle. Blake was raised by parents who were former slaves, and he was involved with music from a very young age. When he was four or five he began to play a pump organ at home,” according tothe center’s web site, via the Encyclopedia Brittanica. 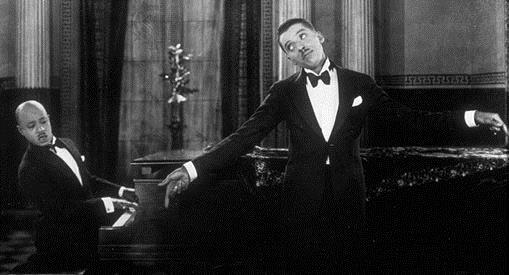 “As a teenager he played piano in brothels and saloons, and by his mid-20s he had secured steady engagements at the Goldfield Hotel in Baltimore as well as at several clubs in Atlantic City. In 1915 Blake teamed up with the singer and lyricist Noble Sissle, and the duo began composing songs. Their career was given a great boost when one of their songs, “It’s All Your Fault,” was featured in the performances of the popular vaudeville and nightclub singer Sophie Tucker. “In 1916 Sissle introduced Blake to New York bandleader James Reese Europe, known not only for having established the Clef Club, an organization that provided hundreds of black musicians with well-paying jobs playing for New York’s white high-society clientele, but also for supplying music for such entertainers as the ballroom- and popular-dance duo Vernon and Irene Castle. “After the war (and after Europe’s death in 1919), Sissle and Blake went into vaudeville, becoming the first African American musical act to perform professionally neither wearing blackface-minstrelsy makeup nor using an exaggerated dialect. … “The duo collaborated with writer-performers Flournoy Miller and Aubrey Lyles to produce Shuffle Along, the first all-black Broadway show to play for full Broadway prices. The musical opened on May 23, 1921, and became a groundbreaking long-running production, closing after some 500 performances. Shuffle Along yielded Sissle and Blake’s best-known song, “I’m Just Wild About Harry,” as well as the romantic ballad “Love Will Find a Way,” the performance of which was revolutionary in that it allowed African Americans to express feelings of love on the American stage in a context other than that of caricature. Ultimately, Shuffle Along made a major contribution to the Harlem Renaissance, most significantly by opening the way for a number of other black shows that laid a foundation for the “Jazz Age” of the 1920s.